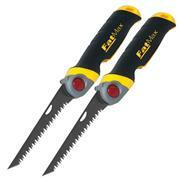 FatMax Folding Jab Saw with hardened and tempered blade for durability and long life. 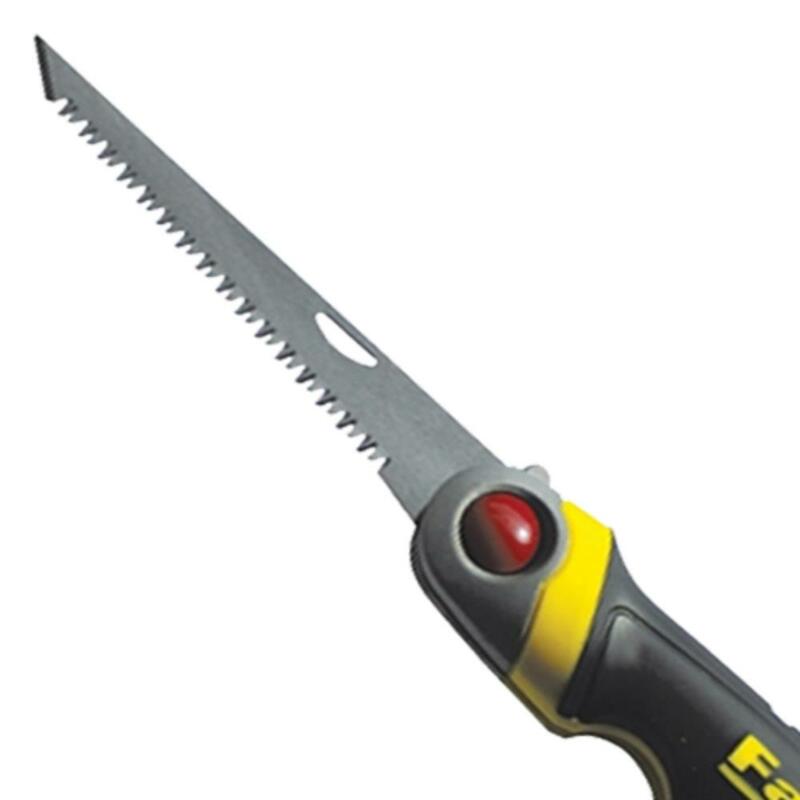 Ultra hard tooth, 8 TPI with sharpened tip for agressive cutting to punch through plasterboard, with 3 locking positions at 90°, 135° & 180° making it ideal for corner or ceiling cuts and better leverage. Triple-sided JetCut tooth cuts on both the push and pull stroke, 50% faster than traditional jab saw tooth designs. Moulded, anti-slip handle combines a high impact plastic and soft touch inserts for improved comfort and control, folding away for safe storage.